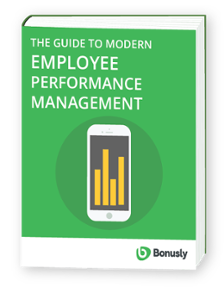 For today’s modern workforce, performance management that meets their expectations is a crucial element of success, and can mean the difference between an actively engaged and satisfied team, or one that is dissatisfied, disengaged, and an email away from leaving. There are a few key expectations most employees share. It's important to understand these expectations and identify how your organization can fulfill them because they play a significant role in the outcome of your recruitment and retention strategy. Succeeding here, where many other organizations fail, can provide a competitive advantage in the talent landscape. Employees want to feel a sense of ownership and autonomy over the work that they do. That sense of ownership is the difference between doing work because it's personally fulfilling, and doing work because it's been assigned. Such motivation is not always positive. If that motivation often trends negative, it can quickly result in disengagement. The source of that motivation is external. That means that when it's no longer actively applied, its effect disappears. Prescriptive structures imply a lack of trust. When employees are given little to no agency as to how, why, or when to complete their work, they're often left with the sense that their supervisor does not trust in their drive or their abilities. An autonomous environment provides employees with the intrinsic motivation of owning a project, its trajectory, and its ultimate outcome. That sense of ownership over the process and the outcome helps employees excel. Autonomy inspires action, rather than coercing it. Employees feel as though they're participating in a task willingly, not because they're obligated to do so. Autonomy exemplifies mutual trust. When employees are freed from micromanagement, they are more satisfied and engaged because they feel trusted and empowered. Employee autonomy is practical. When employees feel ownership over their work, they often find better ways to do it. It’s a lot easier to recruit, retain, and engage top talent when they feel like they have some control over when, where, and how they move their organization forward. People are most motivated when they see purpose, meaning, and value in their work. This is no longer an experience reserved for senior management, but an expectation at all levels. While in the past employees were more accepting of a framework in which their paycheck financed fulfillment outside of the workplace, today's employees seek to create something meaningful with their efforts at work, and to see the results across all areas of their lives. In a McKinsey study, meaning, identified as "seeing purpose and value in work," accounted for half of all changes in an employee's motivation score. Dan Pink corroborates this in his seminal TED talk on motivation. Its extraordinary impact on motivation has made meaningful work a crucial consideration of any modern performance management plan. Many organizations stumble here by assuming there's no way to give employees purpose in the work they do. You can't give someone's work purpose, but you can help illuminate the purpose in that work. Purpose and fulfillment can be found in any type of work; it's just not always immediately visible. Your golden opportunity as a leader is to reveal the purpose behind a career, job, or tasks. You can help your team see the meaning and purpose behind their work by calling out the impact it makes on their peers, the organization, and the outside world. That might sound like a huge task to ask of managers, but they don't need to manage this alone. In fact, they shouldn't. Foster an atmosphere that illuminates meaning and purpose by empowering everyone on the team to celebrate the impact of their colleagues' work. Brains work best when they aren’t distracted by keeping secrets and worrying what others are keeping secret. As counterintuitive as it may seem, it’s better for business when mistakes and victories are all shared equally. Employees want openness, equality, and community. Sharing challenges creates opportunities for sharing creative solutions in the short term and building inclusiveness, connection, collaboration, and engagement in the long term. Transparency is a critical element of any performance management strategy because it builds the mutual trust that is necessary for success. Many organizations fail here by concealing information that may impact employees down the road, or upholding other opaque practices that deteriorate trust. Withholding feedback until the annual review and adjusting ratings in closed door calibration meetings are two traditional practices that do not build trust. Defaulting to transparency can have a significant impact on employee morale, and although radical transparency does exist in the wild, it's important to remember it's not an all-or-nothing proposition. Full internal transparency is demonstrated by Qualtrics. Their performance data is available to the entire team so they can learn from the most and least successful projects. Even more radical is Buffer, which models public transparency around strategic and financial successes and failures. But transparency is different at every organization, and you don't have to adopt a policy of radical transparency to enjoy its benefits. Simply being open about performance management, and how it compliments other HR practices will help people see how it benefits them to put the time and effort into the process. Sharing monthly or quarterly employee survey results will encourage accountability in quality performance discussions and influence less enthusiastic managers to rise to the social norm. Employees expect their employer to help them learn and grow. Without open and honest feedback channels, neither employees nor organizations can reliably know whether they're moving in a mutually beneficial direction. Most performance management plans fail to incorporate this crucial element of employee and organizational development effectively, a shortcoming that often boils down to a lack of frequency, a lack of transparency, or a lack of dialogue. Feedback has the greatest potential for impact when it's timely. Annual performance reviews are often too late to adapt to changing goals or provide support when an employee is going off track. In some cases, an employee performance evaluation becomes an excuse to delay uncomfortable conversations. As a result, employees are frequently stuck with their label, good or bad, for the rest of the year regardless of any changes made through that period. Honesty and transparency are equally vital elements of effective feedback. When there are issues to address, it's important to surface them early on so employees aren't hearing about them for the first time during a performance evaluation months later. Truly effective feedback can't survive as a one-way street, either. Whether or not they're willing to accept it, leadership needs feedback just as much as front-line employees. Performance evaluations can quickly devolve into one-sided confrontations, making employees feel like they’re paying penance for past mistakes rather than getting an opportunity to learn, advance their skills, and make a greater contribution to their organization. You can avoid these common, yet harmful issues in your team by evolving from a reactive "feedback" mindset to a proactive "feedforward" mindset. Adopting a feedforward mindset means focusing on future goals and development, not past actions that can't be remedied. Likewise, evolving from performance reviews to performance “previews” means focusing on potential and how to develop it. The more frequently mistakes are discussed as challenges and opportunities to learn, the more likely information will be shared and processes will improve organization-wide. People expect and desire to grow in their careers, and meeting that expectation can mean the difference between a short and lasting tenure. Mastery is a strong intrinsic motivator, and on-the-job development accounts for up to 75 percent of effective learning. Many organizations struggle with learning and development because their performance management systems subscribe to a "fixed" mindset. The traditional focus on holding employees accountable for past performance assumes that a person’s talent is largely fixed in their inherent qualities, and that their talent is clearly evident to everyone around them. However, research shows a “growth mindset” is more accurate: people learn and improve over time. Unfortunately, they learn and improve less if their performance management experiences reinforce the “fixed mindset” that star performers were born stars. You can improve your own performance management process by adopting a growth mindset. Instead of worrying about tracking and consequences, modern practices offer more freedom and inspiration to build and stretch skills. Modern organizations enable employees to grow with access to resources, cross-functional projects, and customers. By 2017, 81 percent of companies have added future-oriented career and development discussions to the typically past-oriented performance review process. In the next chapter, we'll take a look at the history of traditional performance management: where it came from, how it has evolved over time, and where it's headed in the future. "Autonomous motivation is the type of motivation whereby an individual feels that they are working because of their own will and enjoyment. They "personally own" their motivation to complete a task." "We find that purpose is derived from your relationships, your sense of impact, and your sense of personal growth. If you think about it, those three things are possible in any job. Anyone can build deep, nourishing relationships; anyone can feel like their work matters, and anyone can push themselves to develop in any setting."